Budgeting is much like successfully losing weight: it’s about self-control, not completely denying small pleasures to yourself! If you go at budgeting too hard, you’ll end up falling off the horse, and that can throw everything off. With this in mind, we’ve got some tips to keep your budget trim and in tip-top shape! 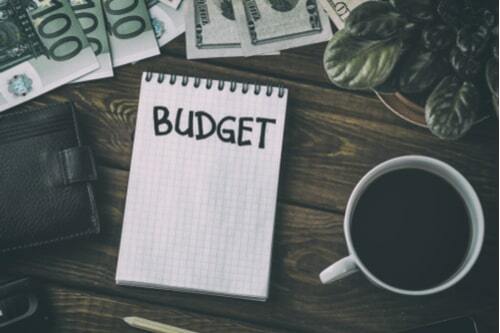 The first step to successful budgeting is actually creating the budget. A great way to start with this is to look into a good budgeting app. Apps like Mint or YNAB are great ways to get your budget under control. You can get a good idea of how much you are currently spending in a variety of categories. Looking at how you are spending is a great way to start wrapping your head around where money is being wasted. These apps also often have recommended budgets, but honestly, budgets depend on things that can vary wildly like what you make, where you live, and your unique spending. Take a look at your budget and see where you can cut down. Once you have goals set up for your budget, you can work towards keeping to it. I know, I know, you’ve heard this one before. “But it’s so hard!” I can hear you saying. Having to cook for yourself sounds like so much work! But it really doesn’t have to be too hard, and I am by no means telling you to quit cold turkey. You should budget a few nights a month where you get to go out to eat. When you go out to eat, make sure you plan around different deals and specials for your favorite restaurants. In the meantime, get your cooking game on point. It's time to start paying attention to those videos you scroll past on your Facebook timeline! Buying groceries and eating what you cook is easily one of the best ways to keep your budget in check. It can even help with you keep to any New Year’s resolutions for eating better and losing weight that you might decide to make! A great way to control how much you spend is to be less dependent on plastic: That's right, we are coming for your credit and debit cards! When you spend with plastic, it’s really easy to lose track of how much you are spending. With a swipe here and a swipe there, you probably aren’t keeping a mental reminder of the total you spent in a week. It probably isn’t until you log into your bank account and see the damage that you realize how much you actually have been spending. 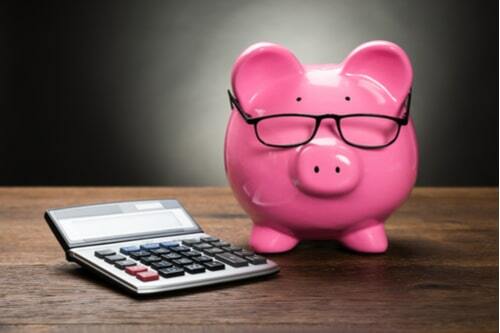 Once you’ve set out a budget, withdraw the money you will need for the month (for groceries, eating out and other things that don’t need to be withdrawn directly from your account) and let that be how much you spend. The thing about this method that makes it work so well is that you will literally be able to see how much money you are using and how much you have left. 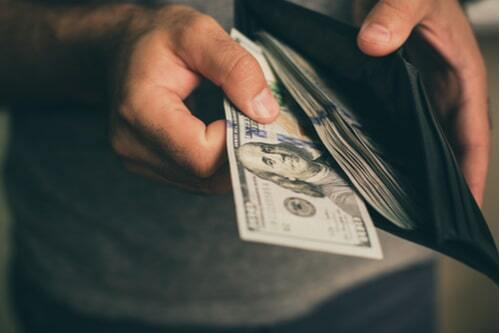 If you have extra cash left over by your next paycheck, just pop that into your savings account – whether it’s just a few dollars or a whole $20 bill. Yes, yes, I know. Who uses a checkbook anymore? Well, book a date with your online bank statement or your account overview, then. The purpose of this tip is that you set aside one day a month to sit down and take stock of your spending. Did you overspend somewhere? Why? Where did you meet your budget goals? How much can you put into your savings? As you take stock of the past month, use this to plan for future months. If the holidays are coming up, plan to spend a little more than usual. It’s a great time to plan gift budgets and you can also plan how you will save for the excess spent. Make the day consistent, like maybe the 30th of every month. And there you have it! Some expert tips to help you get your savings game on point. So, remember, review your spending, make a budget, and leave yourself wiggle room to have a little fun on occasion. It’s a marathon, not a sprint! A weaker start does not mean you won’t have a strong finish. If you need a little more budgeting help, check out these tips.